Nevada Gov. Brian Sandoval signed a bill into law Tuesday that will give out-of-state residents access to the Nevada's licensed sportsbooks through sports betting investment funds. Senate Bill 443 allows Nevada business entities to apply for registration for the purpose of betting on sports and racing at the state's sportsbooks. Essentially it legalizes sports betting investment funds, similar to traditional mutual funds, that are registered and managed in Nevada but which could include participants from outside the state. The business entity must maintain an account with a bank or a financial institution in Nevada. It also must keep original copies of records of the bets from the sportsbooks, in addition to any records required by the state's business laws. Anyone entitled to profits from the entity must be at least 21 years old and provide personal identification, including Social Security number or tax identification. "It gives people another option to participate in a legal way, which is important," Nevada Sen. Mark Lipparelli, one of the bill's sponsors, told ESPN Chalk. Quinton Singleton, vice president and deputy general counsel for sportsbook operator CG Technology and one of the authors of the bill, said people have approached his company about getting involved in entity betting. 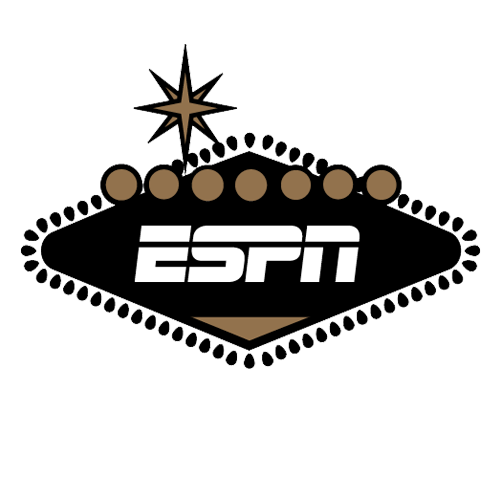 "Basically, what we've done is put Nevada on a path to again being one of the most competitive sports betting markets in the world," Singleton told ESPN Chalk. "This type of entity wagering exists in other jurisdictions. So what we've done for Nevada is that we want to be the leader in sports wagering, and we want to be there to take advantage of it as it continues to expand in the U.S. and internationally." The sportsbooks will have the option of refusing to accept wagers from an entity. "It will be a choice of the various books and their appetite for risk. The same way it is today," Lipparelli said. "They determine what level of risk they want to accept. It's their right to refuse service to anyone they wish, if they determine that somehow they feel that this is going to be too difficult, too risky for them, they may elect to stay out of it." Nevada sports books William Hill, Westgate SuperBook and MGM were unavailable for comment. Sandoval, a former chief of Nevada Gaming Control, also signed a bill (SB 445) Tuesday that clarifies that the state's licensed bookmakers can operate sportsbooks in other legal jurisdictions. "[Senate Bill] 445 basically sets the groundwork for CG Technology and all the other operators in Nevada to start managing race and sports books from anywhere in the world, where they are based in legal jurisdictions," Singleton said. CG Technology already operates sportsbooks in the Bahamas and Mexico. Singleton also used New Jersey as an example of a jurisdiction where Nevada's licensed bookmakers could operate if New Jersey were to win its legal battle against the U.S. sports leagues to bring Las Vegas-style sports betting to its ailing racetracks and casinos. New Jersey is awaiting a ruling from the 3rd U.S. Circuit Court of Appeals, expected in June. "CG Technology is excited about the passing of Bills 443 and 445, and is appreciative of the foresight and leadership of the Nevada Legislature and Governor Sandoval, and the Nevada gaming regulators, as these bills proactively position Nevada as the leader for the sports wagering industry in the United States," CG Technology President Lee Amatis said in a statement. "These bills pave the way for us to expand our business and service offerings, opportunities we expect to capitalize on shortly."